This video is part of a large collaboration with other members of the WeCreateEDU group, a collection of educational YouTubers. Do check out the full playlist of videos for a variety of takes on the theme of education. We’ll be releasing two Endnote videos over the next few weeks with some more details that didn’t make it into the main video, so stay tuned for that. As a university teacher myself, I’ve unsurprisingly touched on the topic of education, both its history and its future, a number of times, so in a way I don’t have too much else to add here that wouldn’t just be repetition. So I’ll end off this blog post with a list of links, some my own and some that I recommend, if you want to go deeper into the topic. And I’d certainly welcome any further discussion on the topic. But first one last detail that I haven’t included elsewhere. 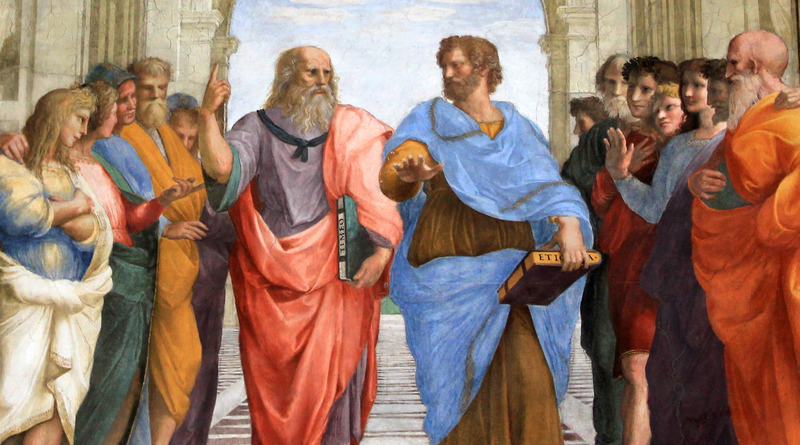 In the video I mentioned that the Greek philosophers/teachers held their so-called peripatetic schools in a variety of public spaces, such as Plato in the grove of Akademos, hence the words academia and academic. Well, Aristotle’s school came to be known as the Lyceum (or Lykeion in Greek) because it was held at a grove near the temple of Apollo, who had the epithet Lykeios meaning “wolf-slayer” from lykos meaning "wolf" (think lycanthrope another word for werewolf). Because of this many educational institutions, often secondary schools, are called lyceums (or in French lycées).